‘This pilot provides insights which will prove crucial to getting the customer experience right as we, together with the industry, bring next-generation mobile financial services to market,’ says Citi. BANGALORE TRIAL: Customers 'expect to do more of everything through their mobile phone, including payments,' says Citi. Citi’s six month near field communication trial in Bangalore, India has provided “insights which will prove crucial to getting the customer experience right as we, together with the industry, bring next-generation mobile financial services to market,’ says Citi Growth Ventures’ Satish Menon. Conceived from the beginning with the aim of developing a business case for NFC that Citi could offer to its US customers, the Citi Tap and Pay pilot enabled Citibank MasterCard credit cardholders to use NFC phones to make payments at the point-of-sale and to receive promotional offers and discounts at a wide range of department stores, food courts, restaurants and fast food outlets, book stores and multiplexes. To take part in the trial, Citi customers first needed to purchase a Nokia 6212 Classic phone, pre-loaded with the Citi Tap and Pay application and enabled with MasterCard’s PayPass contactless payments technology. The Nokia phones were made available for sale from a number of Nokia stores in the city and, as an incentive, Citi offered cardholders a rebate if they purchased a phone and then used it to make purchases. Using the phone to make twelve transactions generated the maximum $110 rebate, the full cost of the phone at retail, at which point the customer had effectively received their phone free of charge. More than 3,000 signed up to take part in the pilot and, during the 26 weeks of the trial, they could use their phones to make purchases at 250 merchant locations. In total, over the course of the pilot, nearly 50,000 purchases were made. A white paper that contains a detailed analysis of the trial has been produced by consultants Edgar, Dunn & Company and is available to download free of charge from their website. ‘Citi Tap and Pay mobile NFC proximity payments pilot — Bengaluru, Results & Findings’ explains that positive customer feedback was received on all the key fundamentals, such as customer interest, usage and satisfaction. In fact, the consultants say, the service generated very high growth rates in overall transaction activity and saw total transaction values during the trial of more than 26m rupees (US$570,000). Features such as secure and hassle-free activation and enhancement in transaction speed scored positively with customers while merchants liked the service’s ability to speed-up payments at the point-of-sale. And on-going consumer research conducted by The Nielsen Company during the pilot scored the project as ‘world class’ in terms of overall customer satisfaction. Demand outstripped supply. Customers had to put down their names on a growing waiting list to participate in the project due to greater than expected interest. 3,948 requests for phones were received from customers and 3,141 NFC phones were sold. Customers actively paid with the phone. Although overall credit card usage in India is low compared to Western Europe or North America, customers showed positive interest in the new technology and a total of 43,527 Tap and Pay transactions took place during the pilot. The service generated growth in payment volumes. Comparing 2009 monthly average data (pre- and post-sign up for adopters) and comparing a control group of (a) non-adopters with (b) self adopters (who joined without being solicited) and (c) solicited adopters, there was a marked increase in payment activity. Growth in total number of purchases — Non-adopters: 7.1% increase (monthly average 2009); Self-adopters: 329.1% increase (pre- vs. post-sign up periods); Solicited adopters: 96.3% increase (pre- vs. post-sign up periods). Growth in total purchase value (card spends) — Non-adopters: 11.9% increase; Self-adopters: 231.6% increase; Solicited adopters: 55.5% increase. Increase in number of merchants where payments were made: Non-adopters: 7.2% increase; Self-adopters: 243.9% increase; Solicited adopters: 68.4% increase. Increase in merchant categories (variety) where payments were made: Non-adopters: 6.3% increase; Self-adopters: 216.5% increase; Solicited-adopters: 56.7% increase. Project partners also benefited directly from the service. Nokia estimated that just over a fifth of handset sales were made to new customers. There were several reasons why customers signed up for the service. Customers surveyed indicated that they perceived the new service offered value for money, enhanced convenience, enhanced security and the ‘cool factor’ while the collective brand power from the involvement of some of the best known brands in India was also important. Merchants on the whole provided positive feedback. Merchant feedback was obtained through selected interviews and merchants noted that the Tap and Pay process attracted attention and expressed the opinion that contactless technology and mobile phones can together change the way customers make payments. parameters and not on transaction numbers alone. 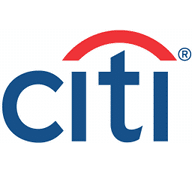 What’s next for Citi? The bank is already in talks with potential partners in India and Asia, Ramchandran has told an Indian financial publication. “We are in talks with three to four banks, three telecom operators, two to three technology providers and two phone makers,” LiveMint reports.